Next up is the Fastball, which is a fully modern flipper knife from Gerber. As soon as David picked it up, he knew it was going to be a hit. It features an S30V Wharncliffe-style blade as well as anodized aluminum handles, and the flipping action on these knives is superb. If you’ve maybe tuned out Gerber’s offerings for a few years, do yourself a favor and look at the Fastball – it just might change your mind. In a similar vein is Buck’s Sprint Series. This is a new lineup of folding modern flippers from one of the oldest names in knives. Like many of their products, you can get the Sprint in both Select and Pro versions. No matter which version you choose, the internals are all the same. 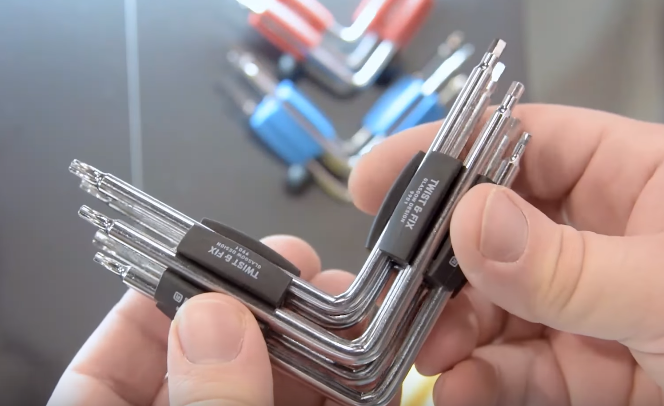 They feature the same great detent and the same great ball-bearing flipping action, meaning you’re going to get the performance to get you through the day. 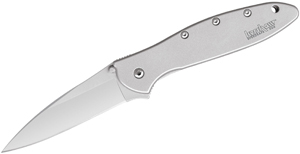 The Select versions of these knives feature Buck’s famous 420HC blade steel. They’re available with GRN handles in a few different colors, as well. This makes a great affordable platform to carry around every day. If you want something a bit nicer, you can step up to the Pro versions. Featuring G10, marbled carbon fiber or burlap Micarta handles (with Cerakoke-colored insets), the blades also feature S30V blade steel with a few additional adornments to make them extra special. Next up is another series of products from Buck, and this is actually an update to a previously existing lineup. 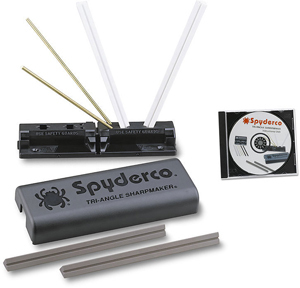 The Compadre Series has always offered great value with their Dymondwood handles and coated 5160 blade steel, making them rough and tumble and ready to work. The newly updated versions of these knives make them even better. Starting with a black Cerakote finish on the blade, these are going to be even more durable and even more desirable than the previous red-coated versions. The handle is really what make it extra special. Rather than the Dymondwood handles of the previous versions, we now get genuine canvas Micarta handles that are going to feel better in the hand and offer superior grip in both wet and dry conditions. On the complete opposite end of the spectrum of these hard-use camp tools is the Kershaw Launch 9. 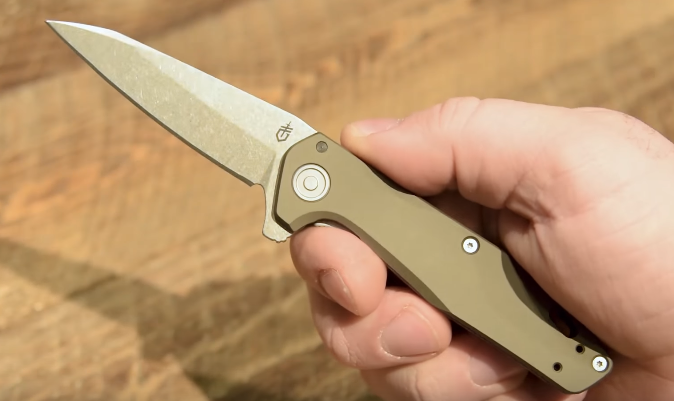 Kershaw’s Launch Series has always been a great affordable line of US-made automatic knives, and this Launch 9 is no exception. 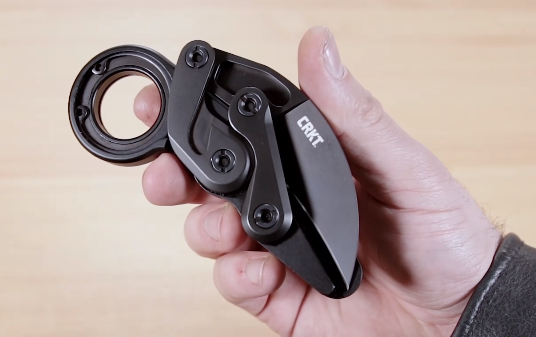 It features a very diminutive blade – only about 1.8” – but it’s got a ton of personality. 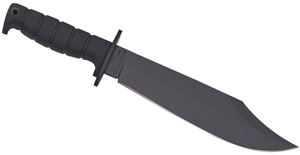 It features CPM-154 blade steel in their working finish, which is essentially a really heavy stonewashed finish. This means this knife has what it takes to do some actual work, and in addition to that it’s just a great size and it’s really satisfying to click the side button and flick that blade open over and over. The last folder to appear on this list is another update to an existing lineup of knives. 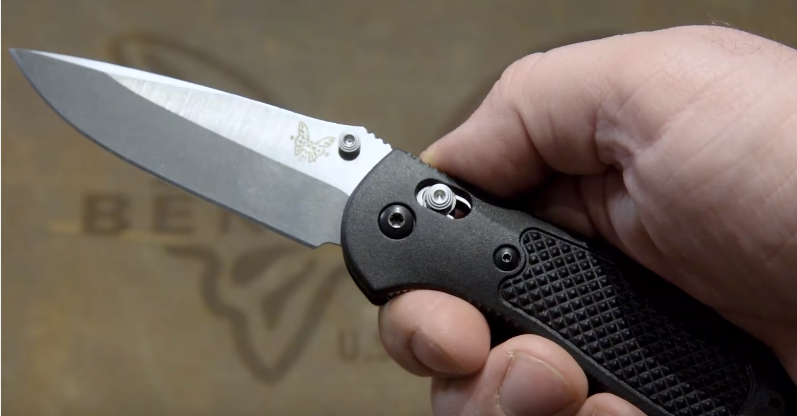 The Benchmade Griptilian has soldiered on with 154CM steel for a long time, but they’ve newly been updated with S30V blade steel, making these knives more competitive and better than ever. These are still the same Griptilians you know and love, featuring the same ergonomic handles, the excellent AXIS Lock, and fantastic blade shapes. The only other tweak apart from the steel is that the sheepsfoot versions of these blades no longer feature hollow grinds. All of the S30V Griptilians will feature flat ground blades. There were quite a few fixed blades that got David excited at the show. First up is the Condor Terrasaur. 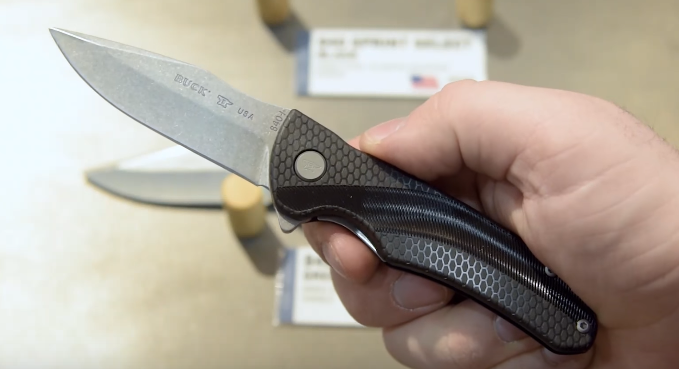 This was actually introduced last year at the 2018 BLADE Show, but there were a few production delays that pushed it back a bit. They reintroduced the knife here at SHOT Show and they’re just about ready to ship. There are two big reasons to be excited about this knife that was designed by Joe Flowers over at Condor. The first is that previously, you would only be able to get this knife through custom makers like Dogwood Custom Knives and Fiddleback Forge. This is the first time that this knife is appearing in a production format. The thing that makes it extra exciting is that it’s a 1095 high carbon steel blade, full-tang with an overmolded handle that’s designed to go head-to-head with knives like the Morakniv Garberg. The blade shape is fantastic for bushcraft tasks, the steel is excellent, it feels great in the hand, and best of all the MSRP on the knife for 2019 is only $50. Last up is David’s personal favorite item that he saw at the show, which is surprising because it’s a really simple knife – it’s the Old Hickory 5.5” Hunting Knife. 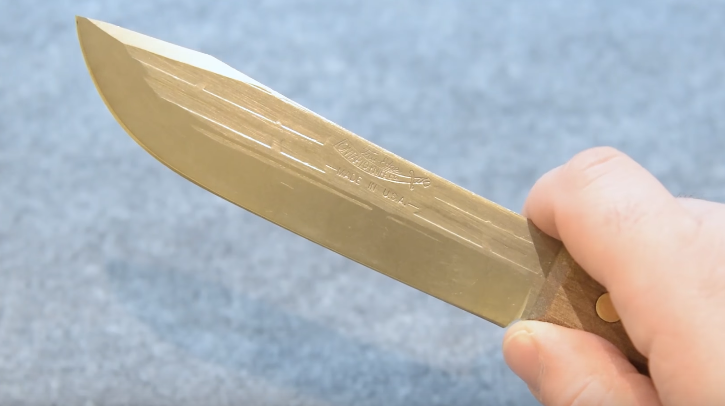 People have been modifying Old Hickory’s line of 1095 kitchen knives for a long time, often taking their butcher knives and shortening them down to designs that will work well in the outdoors for hunting and bushcraft. Ontario has noticed this trend and has decided to put out an item that will be good to go for these types of users right out of the box. They’ve taken that popular 7” butcher knife and shortened it down to about 5.5”, featuring a very similar blade shape – only now they’re going to feature flat grinds with a swedge and it’s going to come right out of the box with a leather sheath. You can immediately take this knife out in the field and put it to use, whether you’re doing cooking, bushcraft, or hunting. The best part is that this is still a great platform for user modification. Whether you’re using custom scales or modifying the blade further, this is going to be much more attractive than taking those larger knives and cutting them down, instead. We saw a ton of great stuff at SHOT Show last week, but these are just a few of David’s favorites. Keep checking our blog to see more updates as we roll out things we saw in Vegas. Let us know your favorite in the comments!